Besides the refined game controller design, one of the most-requested and popular features on Xbox One is the background music playback. Some streaming services like Pandora, Spotify, SoundCloud, Groove, iHeartRadio have participated as music app partners on Xbox One. 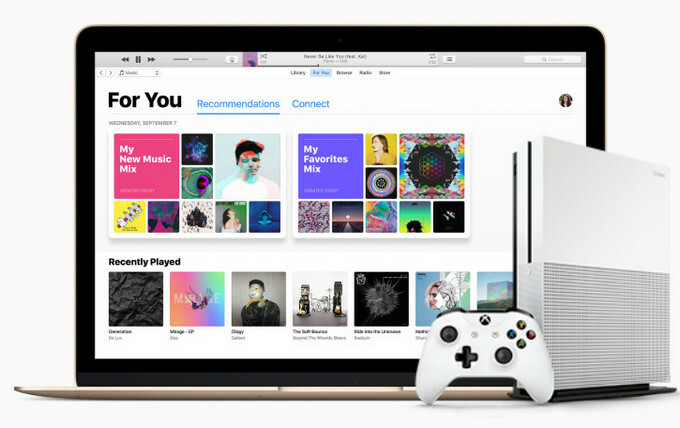 But can we play Apple Music songs on Xbox One as background music even though Apple Music has not joined it yet? The answer is "Yes" and we will mainly talk about how to play Apple Music songs on Xbox One as background music while gaming on this paper. It's well-known that the songs Apple Music are encrypted like all the other streaming music services did. That means there is no possibility to edit and transfer Apple Music songs for any personal uses and we will lose the ownership for the music we downloaded before once the subscription to be expired. So it is easy to transfer other digital music to Xbox One via USB drive or DLNA server, but this is impossible for Apple Music songs. Before making this work, we need to convert Apple Music songs you downloaded to be the audio format supported by Xbox One as WAV, MP3, AAC etc. Fortunately, Sidify Apple Music Converter is outstanding in this area to fulfill your needs. It's a simple and useful desktop application for Windows and Mac to help you remove the DRM protection and convert Apple Music songs as audio formats like MP3, WAV, AAC or FLAC supported by Xbox One with the lossless quality preserved. Here we take Windows as an example to show you how to convert Apple Music songs to MP3 and play them on Xbox One. Download and install Sidify Apple Music Converter on PC, then launch it. iTunes will be automatically loaded. Now click to add Apple Music songs to Sididy. Please make sure that your Apple Music songs have been downloaded already within the validity period. And the Apple Music songs you downloaded will be listed like the picture below. You can customize the settings like output format, output path and output quality by clicking button on the top right of Sidify interface. Here you can choose the output format as MP3, AAC, WAV, FLAC and output quality up to the highest 320 Kbps for the best audio quality. You can start converting Apple Music songs by clicking "Convert" button after finishing the settings. Finally, all the converted Apple Music files can be found by clicking button. You can transfer the converted Apple Music files from PC to USB, then plus in the USB drive to Xbox One allowing for playback from a USB-connected external device. For perfectly playback the music, you can go to Xbox store to download and install Simple Background Music Player or VLC Media Player. Or you can transfer the converted Apple Music files to Xbox One via DLNA Server for playback with the Xbox One default media player. How to Play Music on Xbox One Via DLNA Server?